Arranging a funeral can be a deeply distressing experience even without the addition of financial pressure. The government’s Social Fund and Bereavement Benefit may not be the only form of financial support available to you if you need to cover the cost of a funeral. Charities will often hold an excess to help the families of the deceased, particularly those who have succumbed to a specific illness. This article is designed to provide an overview of charities that help with funeral costs for those who need financial support at this difficult time. 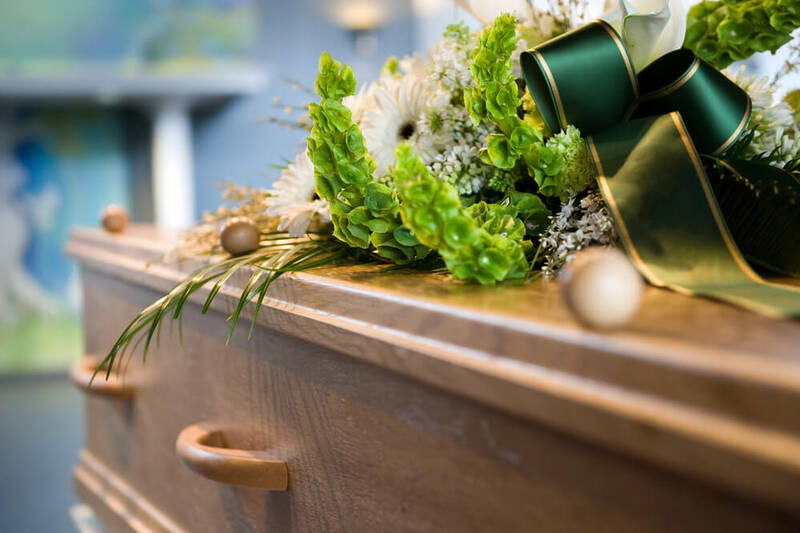 When funeral bills are causing financial hardship the British Gas Energy Trust can provide grants to help with bill payments. Applicants must specify their relationship to the deceased, whether or not they’ve received a payment from The Social Fund, and the reason why the estate of the deceased isn’t sufficient to cover the costs. The British Gas Energy Trust do not provide grants for items that have already been paid for. Charis Grants Ltd. aren’t exactly a charity, but will distribute funds on behalf of utility companies and local authorities to those in need of financial support. The aim of the trust is to offer venerable people who are in debt a chance to pay their bills. They can clear energy debts, cover bankruptcy and provide the funds to purchase essential household items. In order to qualify applicants must be a customer of one of the supported companies. Although an unconventional option, in recent years it has been popular for families who are struggling financially to secure funeral expenses using crowdfunding sites. If you are social media savvy, this is a viable way of charity fundraising for your loved one’s funeral. Bear in mind that crowdfunding websites often charge fees and factor this into the equation. If you can’t secure a grant, the loan company Beyond offer an interest-free charity option where, in exchange for a 10% upfront deposit, they will loan you £3,500 to be paid back over the course of a year in monthly installments of £262.50 as an alternative to traditional funeral loans. The main purpose of React is to give children suffering from terminal conditions comfort and dignity in life. While their focus is on specialist and domestic equipment, they will also consider providing grants for funeral expenses and memorials. The Child Funeral Charity assists families financially if they have lost a child aging 16 or under. While many funeral directors, parishes and councils do not charge a fee for child funerals, the expenses can still add up. The Child Funeral Charity also provides practical support for those who are struggling to make the arrangements. In order to qualify a referral is required from a professional in a relevant field such as a funeral director, nurse or hospice manager. The Northampton-based charity Children are Butterflies offers help with funeral costs for a parent or parents struggling with a bereavement in the UK. Grants are allocated on a case-by-case basis and a maximum of £1000 is provided to cover the costs of a basic funeral. Leukaemia Care provide grants to leukaemia sufferers – who have been diagnosed within the last four years – and the bereaved. Unlike other charities a single lump sum isn’t provided; support consists of a number of small grants to help towards general living, such as bills and home maintenance. Support is generally only provided for those who have acquired an inadequate amount of state funding, or who are waiting for government grant applications to process. If you are incapable of securing help with funeral costs from a charity, you may be able to secure it by government means. Be arranging the funeral in the UK, the European Economic Area (EEA) or Switzerland. It can be difficult to find a charity willing to part with their cash without a referral. If you have recently lost someone and are encountering financial issues, speak to a funeral director and they may point you in the right direction or give you some form of discount to account for a failed grant application. Sadly there are people out there who will try to abuse the system; therefore, charities will almost certainly require a detailed account of your financial history. Every charity has different procedures and prerequisites for approval, so make sure you thoroughly assess their guidelines before applying to increase your chance of success. How much is a burial plot (UK)?